When I have a great experience at a restaurant a lot of it has to do with ordering the right items. 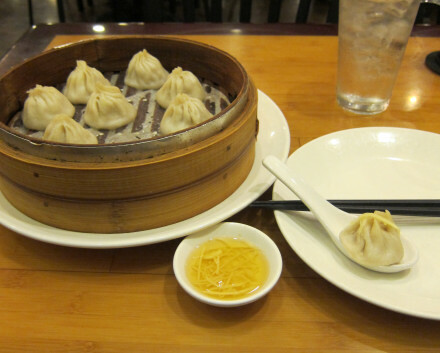 Before going to Jeng Chi I read numerous reviews recommending the xiao long bao (steamed dumplings with soup inside), and I also know that there are a very limited number of restaurants in the United States that serve them. 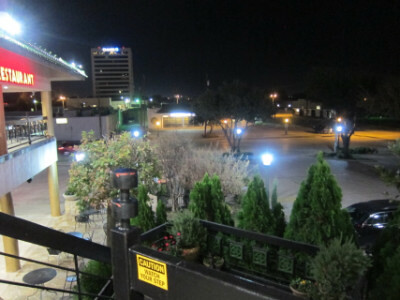 I had already tried them at Kirin Court, located a few blocks away in Richardson, and this just encouraged me even more that another experience would be worthwhile. If I were not on this particular mission it would be quite difficult to even choose Jeng Chi as a destination. 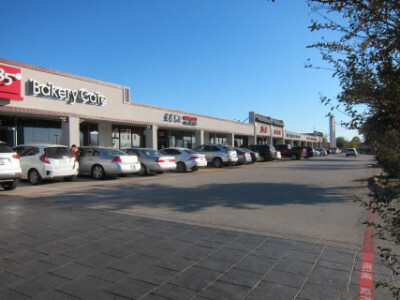 It is located in the “Chinatown” strip mall which is filled with Asian restaurants and shops, quite a few of which also have cuisines which are as hard to find as the one served at Jeng Chi (xiao long bao is known as Shanghai cuisine although Jeng Chi’s web site says the restaurant has authentic food from Taiwan and mainland China). The block long shopping center does have an air of authenticity in which you are unlikely to find any Americanized food, but rather a mixture of traditional foods from various parts of China and other Asian countries. Internet reviews also indicate that this is the case, but of course I hope I get the chance to confirm this on subsequent trips. 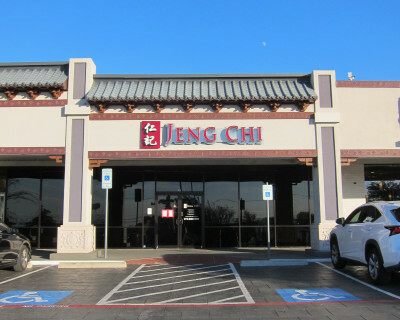 I happened to arrive at Jeng Chi at just about the only time it is not open–between 2:45 and 4:00 P.M. every day (but of course this means they are open the rest of the time every day). Although closed they let me sit in the lobby and relax while waiting for service to resume, and I will have to say that for me it was worth the wait to eat here. The combination of having outstanding food, prices that were commensurate but not inflated, and the right portion sizes gave me no regret that I passed up the other nearby restaurants. Before ordering the food I was asked to make a decision about a drink. This is because some of them take a while to prepare, but also they have some very special teas such as the Chur She Jasmine Tea I ordered. This was prepared in an infuser, and even with additional hot water it maintained its flavor. 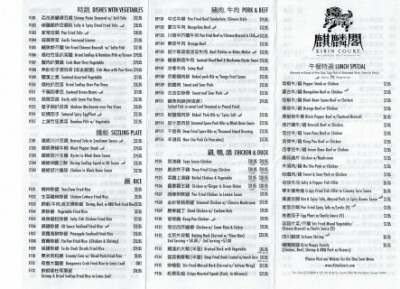 A wide variety of other drinks are available including tea, beer, and wine. Xiao Long Bao is the unofficial specialty of the restaurant, and I say this only because so many people have reviewed it. Listed on the menu as “small juicy steamed dumplings” (which come in an order of 8), these are different than many others because they have soup inside. I thought they lived up to the hype, partly because they give you a ginger dipping sauce that adds to the flavor. They also instructed me about how to use the plastic spoon to trap any juice which spills from the dumpling so that none of it is lost. 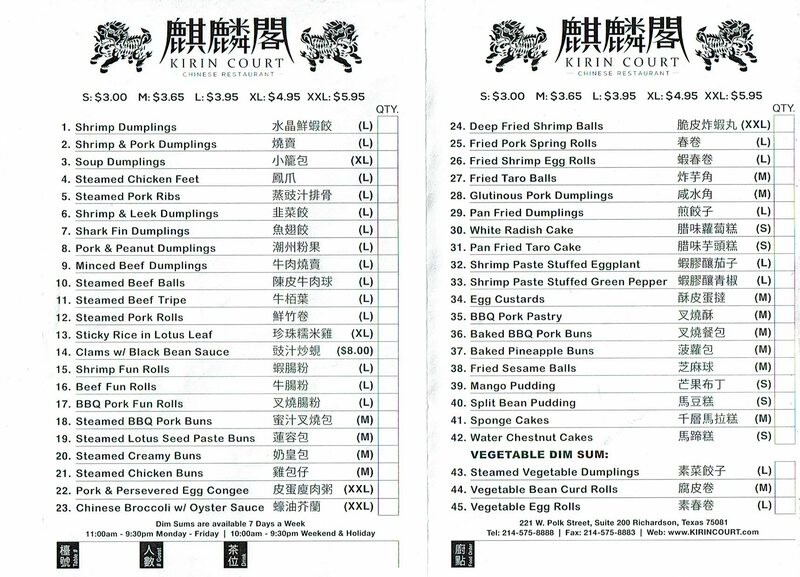 One comment I would make is that they actually serve seven types of “Juicy and Steamed Dumplings,” as well as a large selection of boiled dumplings. A group of people could order several of them to sample, but I think it is hard to go wrong with the one I ordered. I am sometimes known to go overboard on ordering food when I am in a place that has especially good choices, such as Jeng Chi. By ordering the Pork with Garlic Sauce, though I felt that this along with the dumplings was not really too much food if I considered it to be the main meal of the day (which it was). In any case, I got an unexpected taste experience which in some ways was equal to the dumplings. Pork with garlic sauce is a somewhat standard dish that I order in many restaurants, but this one was different in that it had a red color. When I asked about this they said it was because of the chile (which is mixed into the sauce). It was quite strange because it looked like the red sweet and sour sauce found in many restaurants, but the complexity of the flavor in this dish placed it far from the ordinary experience of getting something with a red sauce. The chile level was about four out of five, and the meat was very good quality in keeping with everything else I experienced. I had a large enough sample of the food to make me think that this is not a restaurant that specializes only in one dish, but rather I believe everything is good. 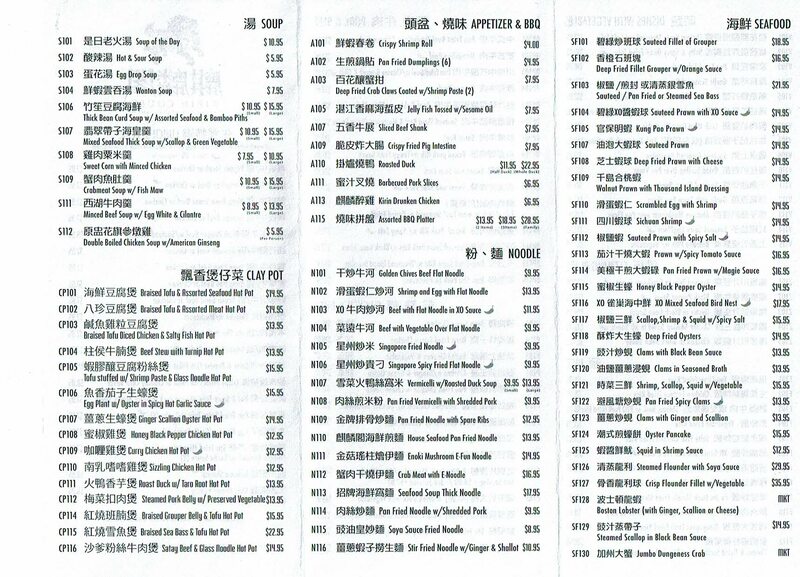 This is how I think Chinese restaurants should be, so that I am free to order according to my appetite rather than choosing among the few items they do well. The dumplings lived up to my expectations, but the pork with garlic sauce was also the best presentation of this dish I have found in any restaurant. This might not have been the traditional Chengdu version of the dish, but it was so good that for all I know it may be totally authentic (but just not a way that other restaurants do it). The balance of garlic, ginger, and other flavors, though, did seem very authentic to me even though visually it was different from any others I had tried. 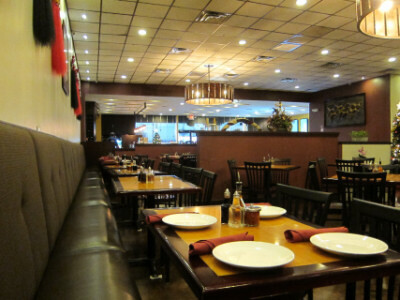 The restaurant is very comfortable and fairly upscale, although I was happy that the prices seemed to be at the level that you are only paying for the food and not the atmosphere. 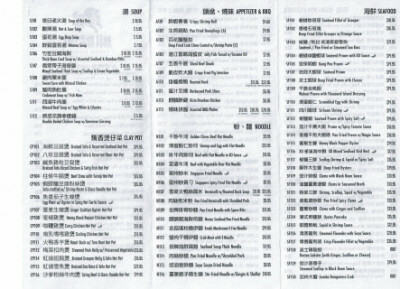 One reason I liked the restaurant is that they explained everything, such as how to eat the dumplings, etc. They have a seasonal menu and probably items that are not on the menu (I did not ask about this but I am very sure they will work with you to get the type of food you want). 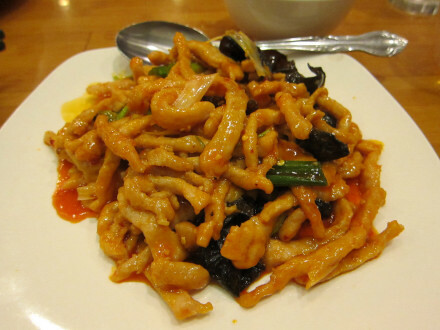 As of the date of publication of this article I am giving Jeng Chi the highest rating of any Chinese restaurant on my blog. 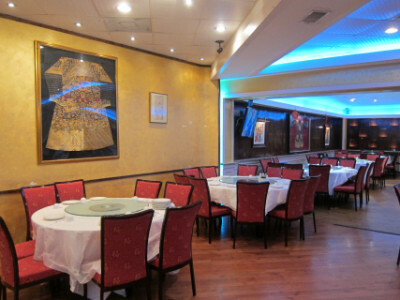 This is not necessarily because I think it has the best Chinese food I have ever had, but because this excellent food is combined with ease of ordering and prices that do not make it for special occasions only. 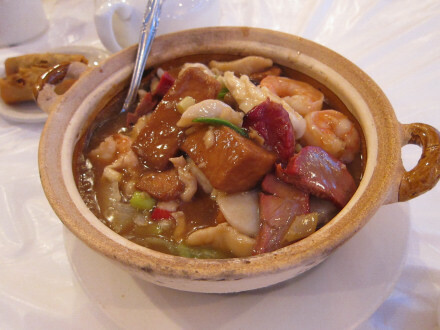 I think many Chinese restaurant have excellent dishes, but this is one place where I think most people can actually find them and know what they are ordering. Kirin Court is known mainly for its dim sum, and the fact that it is available any time the restaurant is open (when I went in the evening there were no carts but dim sum was available on the menu). 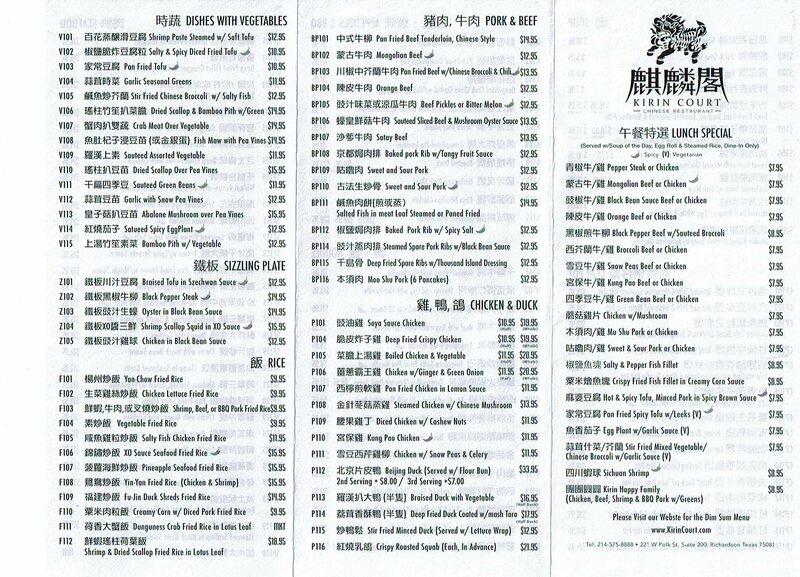 As I suspected, though, it also has quite a large menu of various items that really dwarfs the seemingly more popular dim sum menu. Going with some friends allowed me to try both the dim sum and the regular menu. The tables are set up so dishes can be shared if you wish, and this gave me a chance to sample several items. My impression was that everything was very good, but the biggest strength of the restaurant was that you can have a great variety of food when you go in a party of people as I did. Prices were in line with other Chinese restaurants I have visited, but there are so many hard to find dishes here it will probably push up the price because it is hard to say no to any of them. 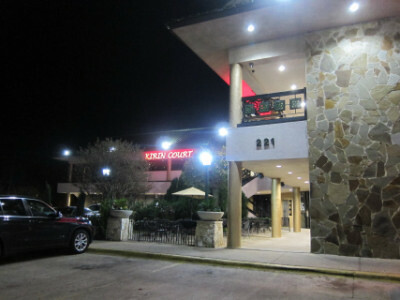 The restaurant is on the second floor of the building, with both an elevator and stairs going up to the balcony where Kirin Court’s entrance is located. I had a conversation with one of the owner’s family members who said originally they were just in the property management business, but they opened the restaurant when the former one taking up the second floor closed. They opened this concept of a Chinese restaurant because there was a dependable customer base in Dallas to support this type of dim sum and authentic Chinese food (they do have some dishes more familiar to Americans but their main business is for the traditional Chinese food). There are two chefs at the restaurant (both from Hong Kong), one for the regular menu and one for the dim sum. 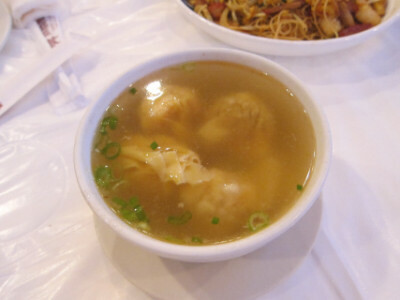 The shrimp wonton soup is an example of the wide variety of soups served, and although I did not try it I do have a photo. 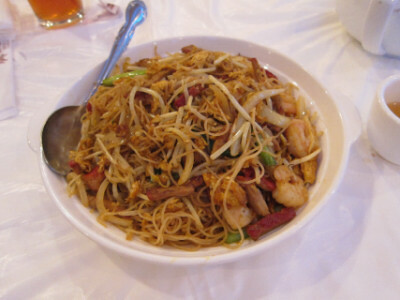 Singapore Noodles is a standard dish I find in traditional Chinese restaurants, although this one seemed to be better than most. It had a combination of meats (shrimp, pork, etc.). Although I really had enough food to be full from the other items, I specifically wanted to try the Xiao Long Bao (soup dumplings) from the dim sum menu. 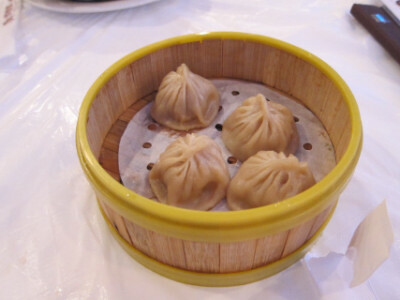 These have soup inside which flows out when you bite off the outside of the dumpling, and the whole thing is very flavorful. This was the first time I had tried the dish and I was very glad to finally sample it. I found out later from a trip to Jeng Chi in Richardson, though, that the dumplings are really supposed to be served with a ginger sauce (which was not given to me at Kirin Court), and that restaurants usually give you a large spoon to collect any soup which spills when you bite open the dumpling (which if they had here I was unaware of it). The serving at Kirin Court is smaller than at Jeng Chi (so it was less expensive). It was good at both restaurants, but if you order it here I would recommend at least asking for a large spoon (and possibly ginger sauce if they will provide it). The Braised Tofu and Assorted Meat Hot Pot was a very good dish that made it seem that (at least for me) it is best to order from the menu here and use the dim sum only for appetizers or dessert. The tofu hot pot is one of the standard Chinese dishes I like to order, and this one was so good I am very likely to get it again if I come back. The hot pot contained pork, chicken, and seafood, but the seafood particularly stood out because of being quite fresh and better than others I have had. 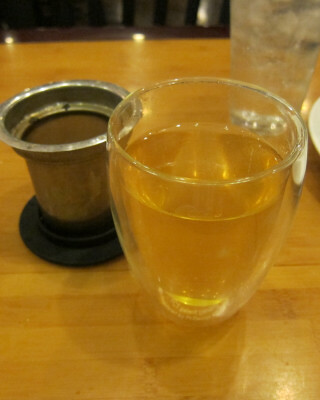 The Jasmine tea made with loose leaves was very good, and was what I would expect from an upscale Chinese restaurant. The dim sum is made in house, and has some MSG (the other food also has MSG but you can ask them to omit it). 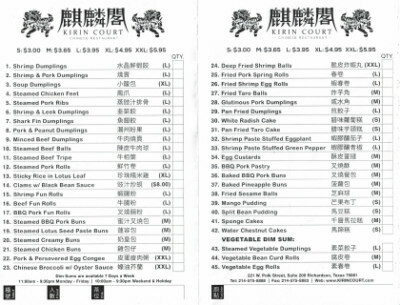 Although I liked dim sum I sampled, I just think that if you are making a special trip here or coming from out of town it is best to order from the menu and only use the dim sum as a supplement. The restaurant mentioned to me that all the meat is fresh and none is ever frozen. This explains to me why the seafood was so good, and I would say that I particularly recommend the seafood here. I do want to explain that the $$ cost is not what I paid, but is what it would be if I made multiple trips and spaced out my orders to match my usual appetite rather than ordering several things at once as I did on this visit (part of it was because it was on Thanksgiving and I wanted to splurge). On a related note, I called several restaurants and found that Kirin Court was one of the few that was open on Thanksgiving Day (so it is a good place to keep in mind for holidays). The party at another table ordered Peking duck, so I at least got to observe it and find out that Kirin Court serves it, even though for my taste I think what I got was probably better.